The Next Web blog that we know today started as a humble sideline to our Amsterdam conference. On June 4th 2007, Boris published the unassumingly titled Next Web Conference 2006, 2007 or blog?. It was hardly the most exciting content on the Web, but it was notable as post number one. And now here we are… at post number 50,000. We’ve been through a lot of changes in the six years we’ve been running, from the people involved to the types of Web-related content we cover. In the four years that I’ve been with TNW I’ve seen it evolve from a side project into a serious business, and I’m proud to say that the team’s passion for all things online and connected hasn’t wavered for a second in that time. We’re also giving away six The Next Web t-shirts to lucky readers. Click here to be taken to the bottom of this post to enter our competition. Big-name crowdfunding campaigns often prove popular, throw in the involvement of Anonymous, and this was a hit. This is still very much worth a watch. 48. Why does the design of iOS 7 look so different? Our insights into how iOS 7’s divisive new design came about. This April 2011 roundup is largely out of date now, showing how far the streaming music market has come in two years. New year’s resolutions = a new arsenal of apps. The idea of running Android on a Windows PC was compelling to our readers. A LOT of people could relate to this report of Yahoo Mail user account hacks. The first showing for our Shareables channel in our countdown. In 50 years from now you’ll be able to fit all the data in the universe up your nose, no doubt. We broke news of the long-awaited Google Drive, days before it was officially announced. Microsoft fans and haters alike flocked to this post about the company’s security successes. 39. Ever wonder where the Windows XP default wallpaper came from? We’ve all seen it. Here’s where it came from. Everyone likes a joke. How about 376 of them? Plenty of people were keen to unlock their iPhones in April 2012, it seems. Anyone who’s had a faulty Mac can relate to this post. How law enforcement authorities handle our personal data was a hot topic in April 2011, just as it is today. A controversial character with a big following, Kim Dotcom’s only appearance on our list is at 34 as his Mega service proved an overnight hit in January 2013. In September 2012, there was a panic over claims that old private messages were showing up on timelines. Facebook insisted that they were just old wall posts that people had forgotten about. Either way, we told you how to remove them. A threat to the most locked-down mobile app ecosystem in the world proved a popular read in January 2013. This roundup from January 2011 is out of date now but over the years, people have consulted it for alternatives to what we now call Google Play. Everyone loves a good ‘it’s cool inside Google’ story… except maybe recruiters from rival Silicon Valley giants. The loophole was closed after we reported on it. The lack of optical drives on modern Macs meant this August 2012 post has been a hit. Someone seems to do a video like this every time a new iDevice is released. This one proved particularly popular with our readers. We’re guessing that smartphone-hungry readers flush with holiday season cash helped this end-of-year roundup to number 26 in our chart. A second showing for this story, following our how-to guide at number 33. A storm in a teacup? Maybe, but it was a pretty big teacup. This story of one reader’s forced removal from Facebook attracted both people who had faced the same fate and those pondering just how fragile our online identities can be. The Android rooting community and those curious about joining it flocked to this post. Let’s be fair – this was a very iMac-like computer. 2013 was another bumper year for Google April Fools, and here we shared them all with you, from YouTube ‘closing down’ to a Google Wallet ‘Mobile ATM’. Still a very useful roundup if you’re interested in becoming a coder. The story we broke about Samsung’s treatment of bloggers at the IFA tradeshow proved a big talking point in September 2012. Best. Olympic. Games. Opening. Ceremony. Ever. A popular feature = a popular post. Back in August 2011, Instagram’s iOS-only status led to this post becoming a big draw. Remember the mess that was the Nexus 4 launch in November 2012? From January 2013, this is still on track to be one of the funniest tech news stories of the year. People love Reddit, people hated CISPA. Little surprise this post proved popular. From responsive design to calming color schemes and beyond. ‘Responsive design’ has to be the breakthrough Web design buzzphrase of the past year. So, it’s unsurprising that this January 2013 roundup got people clicking. Way back in September 2008, Boris and Sander van der Vliet created a simple way of making more of your Twitter conversations – by pasting non-alphanumeric characters into your tweets. It still occasionally bubbles up in popularity as it’s rediscovered, bringing this post to number 9. “How do I record Skype calls?,” is a common question for anyone who works in journalism, podcasting or any profession that may require records of conversations to be kept. Common enough, indeed, to place this April 2011 roundup in eighth place on our list. Anonymous has made countless headlines over the past few years, including a good number right here on TNW. The attack that attracted the most attention though, was when the disparate group waded into the Israel/Palestine dispute in November 2012. The highest-ranking story from our Shareables channel is this epic video of a news reporter doing something truly… well, shareable. Even the worst photographer in the world can enjoy taking pictures, so it’s no big surprise that our April 2011 roundup did so well. When hacker group Antisec released a sample of what it claimed were 12 million compromised UDIDs from iOS devices in September 2012, we put together this tool to allow you to see if your device was on the list. It proved incredibly popular. While it was originally claimed that the data came from an FBI agent’s laptop, it was later revealed that the source was app publisher Blue Toad. This isn’t the kind of piece you’ll usually find on The Next Web, but Bonnie Ware’s list of common regrets of those about to die moved us enough to share with you with our own TNW-flavored take. This look at the deep, dark corners of the Internet has keep people gripped since it was published in October 2012. It originally appeared in TNW Magazine, so make sure you subscribe to that if you have an iOS device in order to get great reads like this delivered to your Newsstand every month. What can we say? People clearly love multiplayer games for iOS, as this slow-burn hit has proven in the two years and three months since it was published. So there we go, our most popular posts of all time… so far. Stick with us for the next 50,000 and we’ll see you for a 100,000 post roundup! 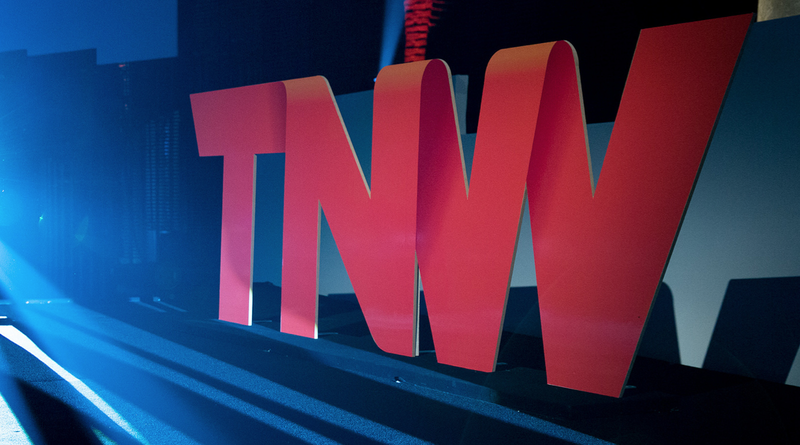 Now… want to get your hands on a TNW t-shirt? Enter our giveaway! 50,000th Post Giveaway WIN a TNW T-Shirt!